For stress free mobile living an efficient 12 volt charging system is vital for keeping working. 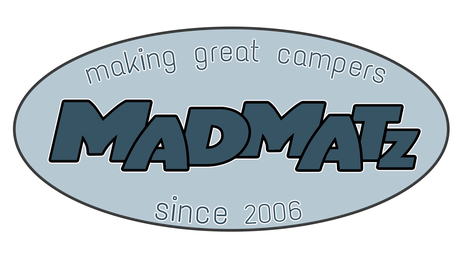 All Buspod camper conversions come with a Ctek Dual 250s charger to keep your leisure battery topped up via VW Bluemotion smart alternator it is also capable of controlling power straight from a solar panel. We also fit as standard a powerful 16 amp charger as part of the CBE 240 volt power package for the times you are on hook up. With all this technology the 110AH battery we install should have the power you need when you need it. Modern energy efficient vehicles such as Volkswagen Bluemotion's all have smart (ECU controlled) alternators fitted this is an issue for traditional VSR's (voltage sensing relays) split charge systems because they output less than 13 volts for long periods, for this reason we use the latest Swedish designed Ctek 250s Dual system of Battery to Battery charging. The other benefit of this stand alone system is that we do not need to splice into the original VW wiring loom so avoiding any potential future warranty issues. 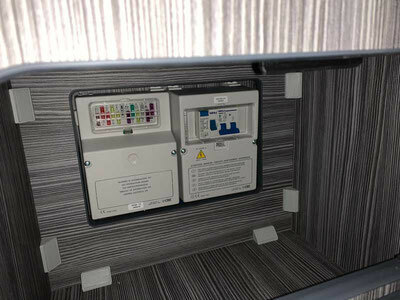 As part of the CBE electrics package we install there is a powerful 16 amp battery charger included, as soon as you connect a 240 volt hook up lead the charger tops up the leisure battery and maintains it in perfect condition. Although we don't fit solar panels as standard they can be orderd as an option and all of our conversions are Solar ready. 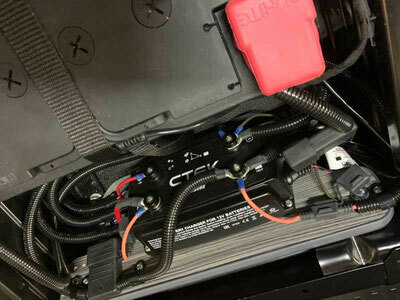 Our Ctek 250sa Dual system has the ability to trickle charge a service battery from a solar panel at up to 20A using MPPT (maximum Power Point Tracker) to maximize to power from the solar panel with a single connection.